Happy Weekend TAY! I hope everyone is geared up for the weekend. Last week, while doing more Twitch testing, my friend and I fell back to playing The Elder Scrolls Online since we didn’t have time to set up another game. This of course cemented the feeling that I’m pretty much done with ESO, as I mentioned last week. I have a minor bit of leveling to hit veteran level 14 and there are the story quests in Craglorn still to do, but after a year of playing ESO, I think I’m hitting my limit. I just can’t find the motivation to go back in anymore. Don’t get me wrong, it was loads of fun...hell, I did just say I played it for a YEAR! (certainly won’t take people with more free time nearly that long). I fear I’m just growing disinterested now since there is hardly anything left for just my buddy and I to do together. Everything else on our plate will require more people or PVP. The PVP can be fun, but with the soft-lock mechanics I feel like I don’t have to worry about being precise. Granted I’m not very good at the PVP, but part of that is from not feeling like I want to become good at it. Many people enjoy the PVP with the large map and the constantly shifting borders does make for a very cool PVP game. I think in the end, PVP in ESO is more about character optimization and what you are wearing. This can be loads of fun for people, but this isn’t something that gets me excited. Also, the framerate can get pretty bad in the PVP on my video card. I know it is my video card as I was playing with someone with almost the same specs as my machine but a better video card and they were getting a much better framerate. I suppose I could dial back some video settings or get another video card (eagerly awaiting the Nvidia 980Ti imminent release) but again, I don’t care enough about the PVP to bother. Oh...we also played an hour of Orion: Prelude on Twitch to mix things up. After an hour we went back to playing ESO PVP, so given what I said above about my lack of interest in the PVP, you can guess how much we enjoyed Orion: Prelude. I did manage to finish off Homefront for PC last week and I’d give it a good, solid score of “OK”. It doesn’t do anything offensive and is pleasant to play. I enjoyed their hard difficulty setting and the combat was entertaining. It looks and sounds passable, though it really should look better for being on the Unreal 3 engine. I think the biggest failing of Homefront is in the story and the characters (and partially the voice acting, though that dialogue must have been brutal to even attempt seriously). The characters are so one dimensional and the overall story just isn’t there. This is supposed to be a story about the U.S.A. being occupied by North Korea. There should be a huge sense of horror, anger, and saddness at every turn. However, with the story so weak and the characters being somewhat grating, there is no opportunity for the player to get invested in the world. Oh well, I got my five bucks worth of fun out of Homefront. Hopefully Deep Silver will do something better with the franchise if the sequel ever shows. I also managed to finish several more chapters of Halo 4 with my son. I think Halo 3 definitely has the better level design, but I’m totally digging the story in Halo 4 and so is my son. Having so much screen time with the Chief and Cortana is what I think I always wanted and I’m more interested in this story than any other Halo story. Cortana (Jen Taylor) is the star here and I can’t wait to see where this is all going to end up. 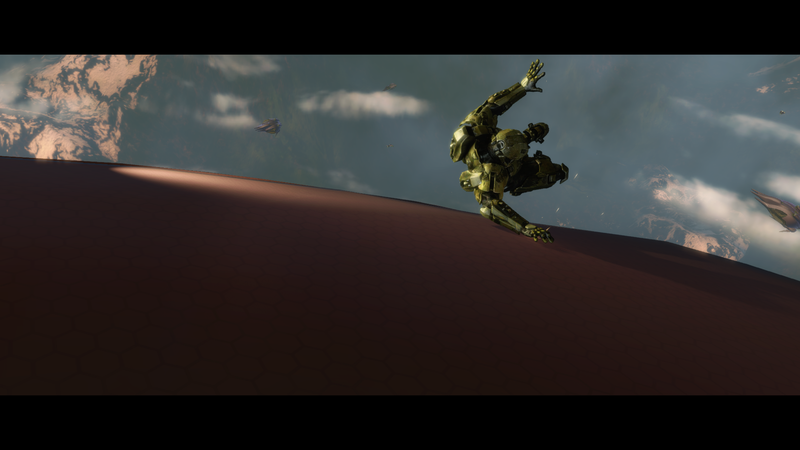 I am super excited for Halo 5 now after playing 343’s offering here. As a first foray in to a very established franchise, I think they’ve done an incredible job. So, likely more Twitching this weekend. I think we are going to have a look at Dying Light finally and make my crappy video card melt. Since my son is away at Cub camp, hopefully my wife and I can enjoy some of our TV shows during the day that we generally have to wait for the little guy to be in bed before watching.